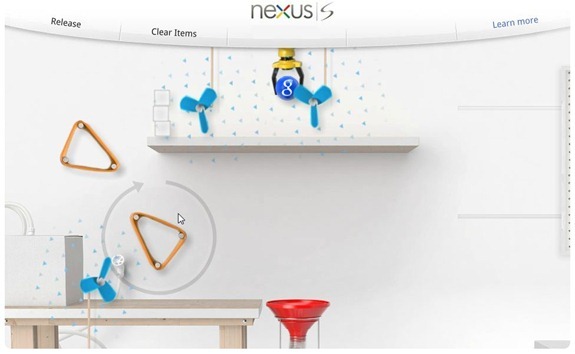 Google has launched a promotional game for its Android phone – Nexus S. The objective of the game is pretty simple - you have to add Search, Maps, Gmail and YouTube into the Nexus S.
The game itself is a puzzle type of game where the apps are represented by balls. To complete the game, you have to guide the balls into the Nexus S. To proceed to the next level, you have to guide the balls into the red funnels. 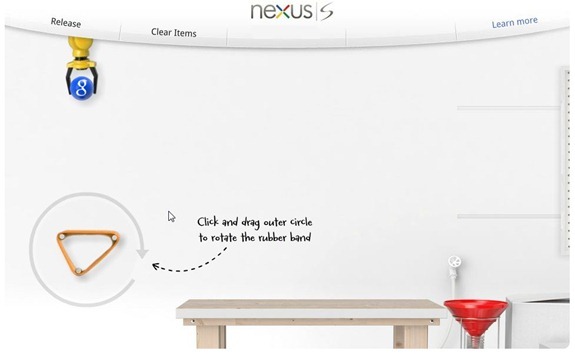 At the end of each stage, the ball will go into the Nexus S. There are various items available for you to use you get the balls (apps) into the phone such as rubber bands, fan, magnets etc. 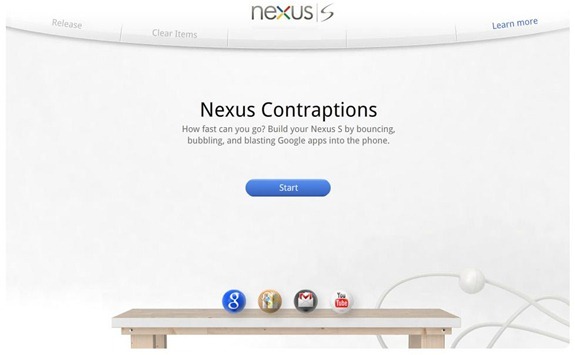 Nexus Contraption is a simple but fun game which, I think anyone, can enjoy. And, oh, for the competitive type, there is also a list of fastest people to have completed each level. 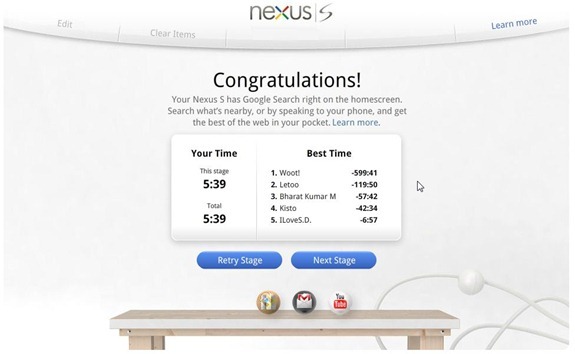 It would have been great if the game was released a bit earlier – maybe at the time of the Nexus S launch. Anyway I am off to complete it now.